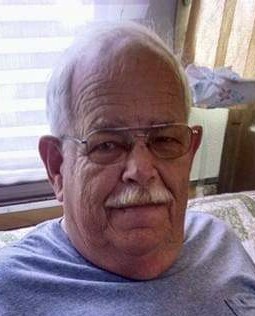 Age 68, of Waynesburg, passed away Friday, March 29, 2019. He was born Jan. 16, 1951 in Canton, a son of the late Victor and Luella (Roth) Michel, and was a life resident of Waynesburg. Bill was a 1969 graduate of Sandy Valley High School. He was retired from Waynesburg Carriage where he was Service Manager and a mechanic. Bill was a member of St. James Catholic Church and had served on the Waynesburg Water Board. He coached T-Ball when his sons were playing. He had been a member of the Jaycees and he and his wife were members of three motor home clubs, GMC Eastern States, GMC Great Lakers, and Buckeye Bounders. Bill is survived by his wife, Jane A. Michel, with whom he celebrated their 46th Wedding Anniversary on Oct. 28th; one daughter, two sons, and seven grandchildren, Amanda and John Lewis, and their children, Abigail and Aiden, William D. and Leslie Michel and their children, Joshua, Tyler, and Matthew, and Jesse and Samantha Michel, and their daughters, Olivia and Averie; six sisters and one brother, Victoria and William Hicks, Monica and Chuck Taylor, Marianne Eick, Susan and Peter Baylies, Lora Frisone, Peggy and Thomas Stone, and Thomas and Linda Michel. A Mass of Christian Burial will be held Friday at 10 a.m. in St. James Catholic Church with Fr. Joseph Zamary as Celebrant. Interment will be in Sandy Valley Cemetery. Friends may call Thursday 6-8 p.m. at the Finefrock-Gordon Funeral Home in Magnolia. Condolences may be sent to: www.gordonfuneralhomes.com.